I have been having a really frusterating problem with tilemaps recently, where the player/cursor position is incremented differently than where in the tilemap is being displayed. What I need is a tilemap in which the player/cursor moves at the same speed as the displayed tiles. 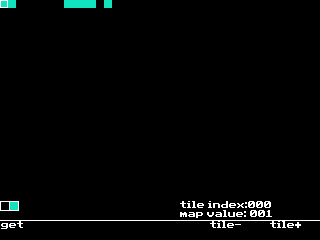 I have attempted to correct the issue by using another variable which is incremented/decremented whenever the tilemap moves, but that does not seem to work. EDIT: made my own renderer for now. You don't follow this when you draw your relatively offset items, such as the square. yes, but where do I get those variables? © Copyright 2000-2019 Cemetech & Christopher Mitchell :: Page Execution Time: 0.093503 seconds.